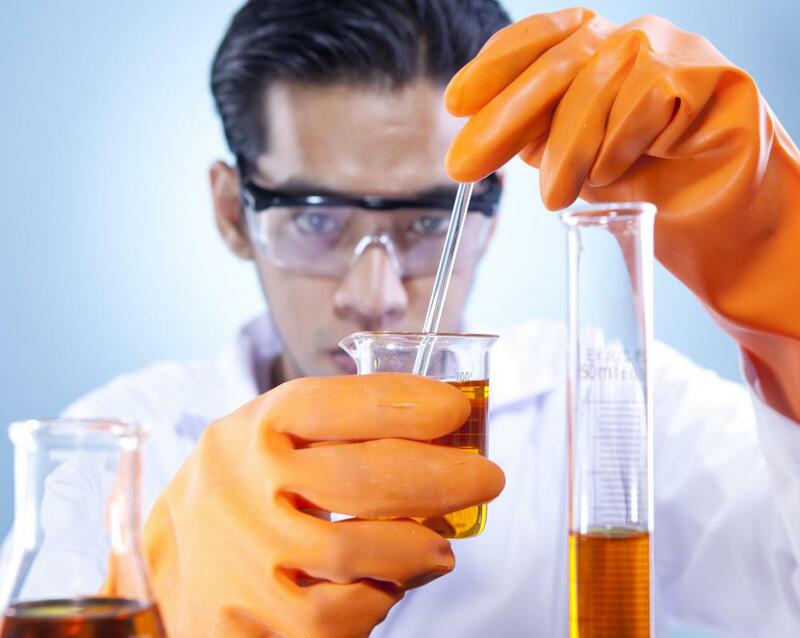 What Is the Connection between Acetic Acid and Sulfuric Acid? Acetic acid may be used in a variety of chemical reactions. 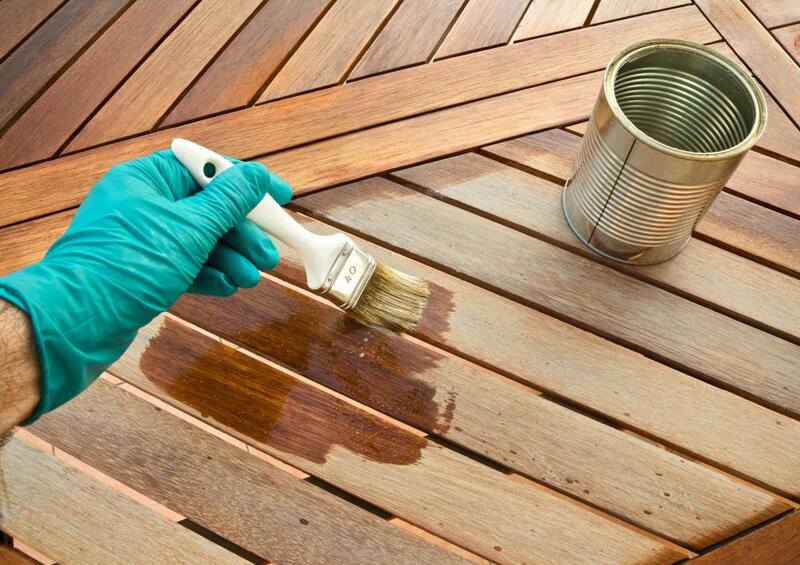 Acetic acid may be used in the preparation of varnishes. Acetic acid and sulfuric acid are, respectively, an organic carboxylic acid and an inorganic or "mineral" acid. Combining glacial acetic acid and sulfuric acid, one of the strongest simple acids, resulted in one of the two earliest known "superacids." This term, superacid, was introduced by chemists Hall and Conant in 1927, and refers to two groups by definition. Any acid stronger than 100 percent sulfuric acid is a superacid of the Brönsted variety, whereas any acid stronger than anhydrous aluminum trichloride is a superacid of the Lewis variety. Combining acids from these two groups has resulted in the strongest known superacids, including the famous "magic acid" comprised of fluorosulfonic acid and antimony pentafluoride. Since it is a moderately weak acid, it might seem that combining acetic acid and sulfuric acid should result in a liquid of intermediate acidity. This is not the case, because that action does not result merely in the formation of a solution; rather, a reaction occurs between the two substances. In order to understand the reaction between acetic acid and sulfuric acid as completely as possible, it is necessary to focus closely on the actual structure of a carboxyl group. Oxygen atoms within the carboxyl group (-COOH), though drawn adjacently, are not bound to each other. Actually, the leftmost oxygen atom is bonded only to the carbon atom, forming a carbonyl group (-C=O), while the right oxygen is bonded only to the carbon and hydrogen atoms, -C-OH. This enables us to visualize the reaction CH3COOH + H2SO4 → CH3C(OH)2+. For clarification purposes, that structure can also be written: CH3C(OH)(OH). In theory, a molecule of acetic acid protonated by sulfuric acid would result in the production of HSO4-, whereas if a second molecule of acetic acid is protonated by that remaining bisulfate anion, the mechanism is CH3COOH + HSO4- → CH3CO(OH)2 + SO4-2. Once protonated, it is believed this structure changes in a variety of ways, including the re-establishment of a carbonyl group, with the second branch becoming -C-OH2+. Modified acetic acid structures in one form or another would unite in polymer-like segments with one of three substances — sulfuric acid molecules, HSO4- ions or SO4-2 ions. What has definitely been determined is that the stoichiometric ratio of acetic acid and sulfuric acid for the best superacid behavior is, at the protonation phase, 2:1. At the final product or segment formation level, the ratio changes to 2:3. What Is Acetoacetic Ester Synthesis?